The 100,000th state house was opened by Prime Minister Robert Muldoon in 1978. 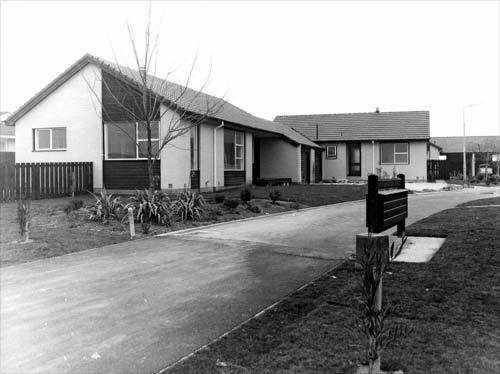 It was a small unit in the Christchurch suburb of Hornby. Its first tenants, Mr and Mrs Stagg, were empty nesters whose children had left home, and so they no longer needed a large state house. The prime minister arrived early and after a quick tour he declared it 'very comfy'. Running late was the former undersecretary for housing in the first Labour government, John A. Lee. He had been at the opening of the first state house in Miramar, Wellington, 41 years earlier and he was not going to miss this occasion. After the ceremony Lee held court on the front porch, with the assembled crowd hanging on his every word.